Mencandat sotong, or squid jigging, is quite popular in Terengganu, my home state which is located on the East coast of Peninsular Malaysia. 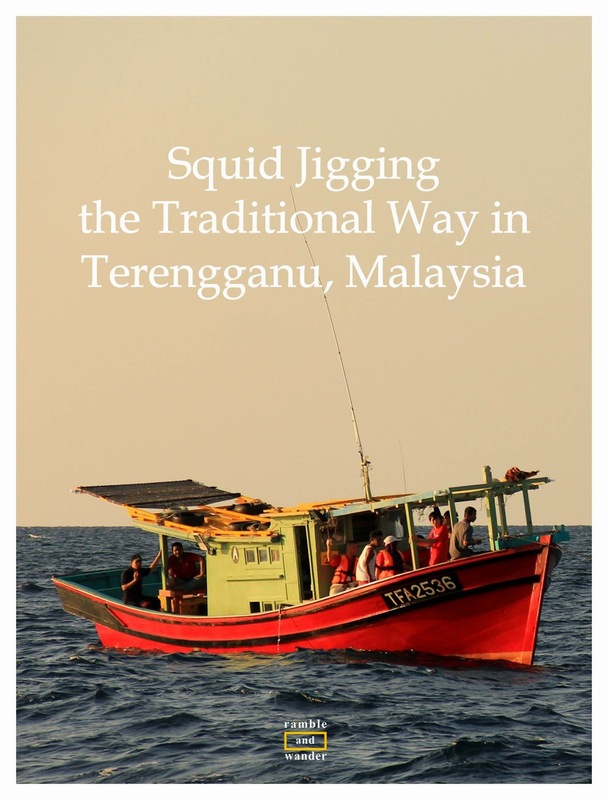 Despite its popularity, not everyone from Terengganu has been on a squid jigging trip. And that included me, at least until last April when I was invited to join Terengganu International Squid Jigging Festival 2014. Although I have never been on such a trip (until then), I have heard about it so many times from my friends who raved about their trips and experience. A friend of mine, who is based in Kuala Lumpur, even goes to Pulau Kapas (Kapas Island) in Terengganu at least twice a year for a quick holiday and just to go squid jigging it made me wonder what is really appealing about it. On our first trip out to the open South China Sea, we left from a jetty in Pulau Chepu in Setiu, about 1-hour drive to the north of Kuala Terengganu. The boat ride took about 2 hours before we anchored the boat in an area where our boat captain believed to be the place for squids. We were eager to learn and experience something new so it wasn’t long before we started jigging. Needless to say, a reward for those who manage to catch the highest number of squids and the most in variety also motivated us. If you’re into fishing and think that it’s about patience, then you might want to test your patience a bit more by going on a squid jigging trip. Why? Because when you go fishing, you can just leave your rod and do your own thing, like read a book maybe, or play cards with your friends while waiting for some poor big fish to eat your bait and start tugging the fishing rod once it gets hooked. So what’s the difference with squid jigging? With squid jigging, you cannot just leave your rod and then continue minding your own business like you can do when you go fishing. First and foremost, because there’s no rod being used in squid jigging, and second, you have to continue tugging the line up and down to attract the squids to the colourful jig and to make sure they are caught by it. It can be tiring and can certainly test your patience if you haven’t been able to catch anything after an hour or two, which was what happened to me and most of the team members on the boat. We didn't catch anything that night and had to endure listening to the happy shouts from fellow jiggers from other boats that have managed to catch plenty of squids. It was frustrating but then again, of course, it’s part of the experience. I guess the squids were not easily fooled by the fake moonlight from our boat. That was just a beautiful sight. It’s not something that you see or experience every day. Despite not feeling so well, I still started jigging although somewhat less enthusiastically than during the first trip. I just wanted to do something to forget about the seasickness that I was experiencing, and to make sure that I wouldn't be throwing up because, well, that would be embarrassing, no? Happy, and feeling a bit more motivated although still feeling sick, I continued with the jigging. The sea was still a bit choppy and so it wasn't long before I had another round of throwing up, heh! After emptying my stomach for the second round, I still didn’t give up jigging. Luck appeared to be on my side or maybe the squids just liked what I had tried to feed them with, I’m not sure, because I managed to catch another one before we left for the shore. Despite not winning anything (it was just the 3rd longest catch of the night, not the overall 3rd longest after taking into account of all other squids from the first trip too) and despite experiencing seasickness during the second trip, I still felt happy and satisfied with the whole experience. The feeling that you get once you start catching the squids is just amazing! So would I recommend it to others? It’s a definite YES. It might not be for everyone but if you want to experience something new, different and unique to Terengganu, why not? Would I still do it again? Yes, I certainly would but I would try to check & make sure there’s no choppy water whenever I go out squid jigging again in the future, heh heh! 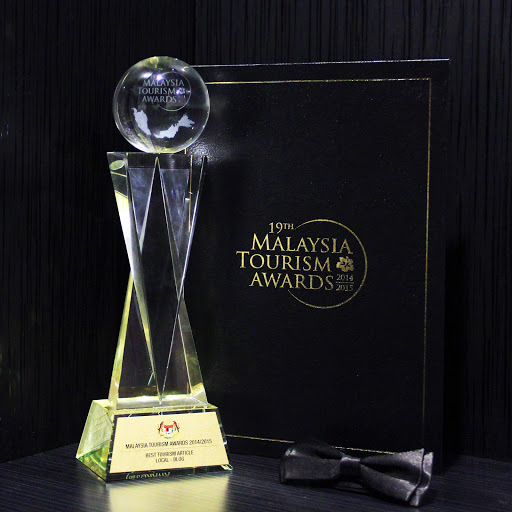 My appreciation and thanks go to Tourism Terengganu and Gaya Travel Magazine for the opportunity to join Terengganu International Squid Jigging Festival 2014 (#TourismTerengganu #SquidJiggingTGG #VMY2014 #GayaTravel). Going to Kuala Terengganu? Do check out these Kuala Terengganu hotels for your accommodation there. Salah tempat kot? Kawan2 lain dapat banyak tak? Tapi rasanya kalau pergi ramai2 dgn geng mesti masih best walaupun tak dapat banyak sotong. WOW. Got to say I don't have the patience for it. But I love squid. Everything leading up to actually catching the squids I will enjoy and more so after eating them. What a detailed description of a rare experience from the other side of the world. I am not a seasickness nor calamari fan, but your story and photos are beautifully executed. Sounds like a great little adventure! I would love it if it wasn't for the fact I am sure i would end up seasick. Oh man, now that is one thing we never got to while we were in Malaysia and after reading this I wish we hadn't skipped it! I know it's not top of the list of things to do whilst in Malaysia but it's getting there, I think! There are more and more squid jigging packages being offered nowadays. Getting popular because it offers a different kind of experience, I guess. This is a very unique experience and such a great time reading your detailed story! Glad you could experience this and have so much fun doing it! Wow--what an interesting experience! Sounds like a great day, except for the seasickness! Looks beautiful! I've been to Malaysia before, but never here. I'll have to add it to the list for next time!